Keep the flame of love alive with a little help from us, you can keep your spark...or even flame alight and burning bright to celebrate your everlasting love. 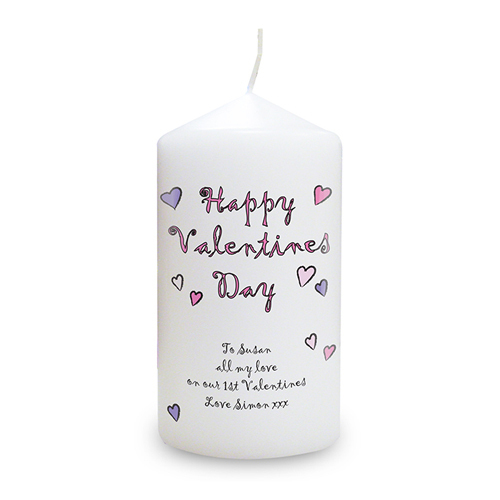 Personalise this Happy Valentine's Day Candle with any message over 4 lines and up to 20 characters per line. 'Happy Valentine's Day' will be fixed text on this item.